As I mentioned in the last review, I was going to try and watch ‘Teenage Mutant Ninja Turtles: Out of the Shadows’. Honestly not sure why I was so hard press to watch this movie. It was critically panned and bombed at the box office. On top of that I wasn’t really a fan of the first film (not my turtles). But I tried the movie. Got 7 minutes and 44 seconds in before I stopped. So yeah, ‘Turtles: Out of the Shadows’ was stupid. 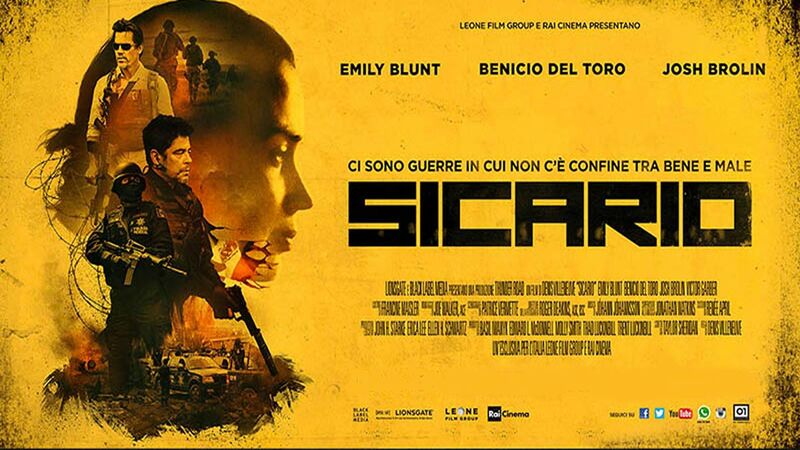 Moved onto ‘Sicario’ and I didn’t finish watching last night, ended up going to sleep. Woke up feeling better this morning. Gave my neighbors some time to sleep before pulling out my snow blower. I finished the movie and then went out to clean snow. I’m still feeling fine but taking it easy now. Prior to seeing the movie I had heard great things about this movie and they were all true. Directed by Denis Villeneuve this crime thriller stars Emily Blunt as an FBI agent recruited by Josh Brolin to join a mysterious drug task force. 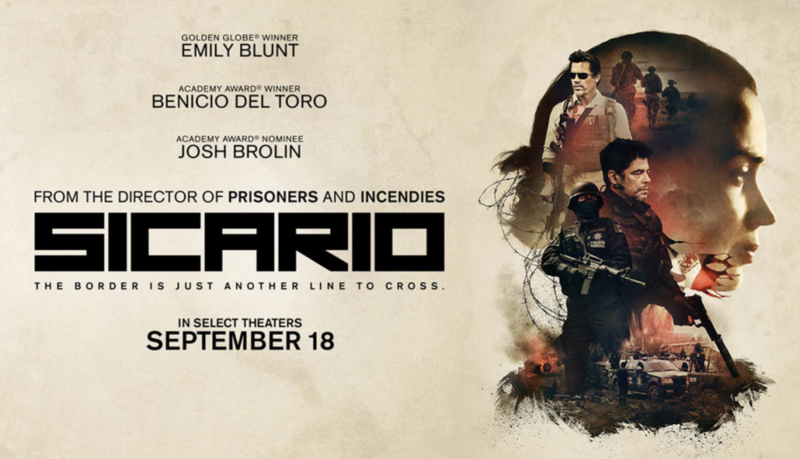 Academy Award winner Benicio Del Toro is an quiet and intense leader of this group. Rounding out this cast Daniel Kaluuya and Jon Bernthal. Superb acting, great action and an intriguing story. Another film that I feel doesn’t need a sequel but I understand why it is getting one. Like ‘Creed’ I hope the filmmakers behind the sequel provide the same love and care that those behind the first gave it. Would totally watch this one again and would see the second one. Going to now relax a bit, want to make sure I am feeling my best for when Melissa and Miles come back.